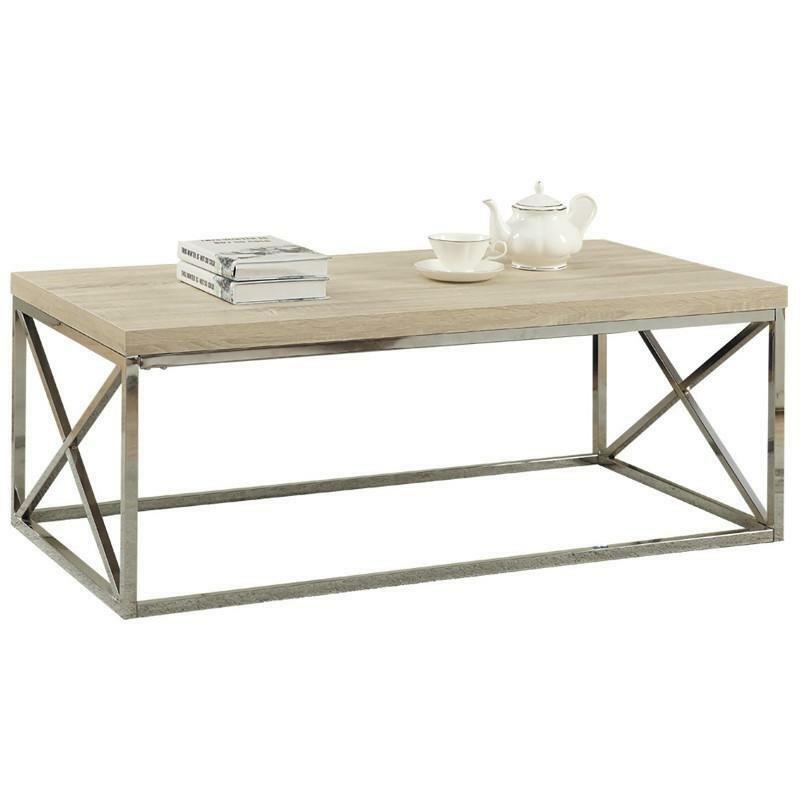 Give an exceptional look to any room with this natural reclaimed wood-look top Cocktail Table. 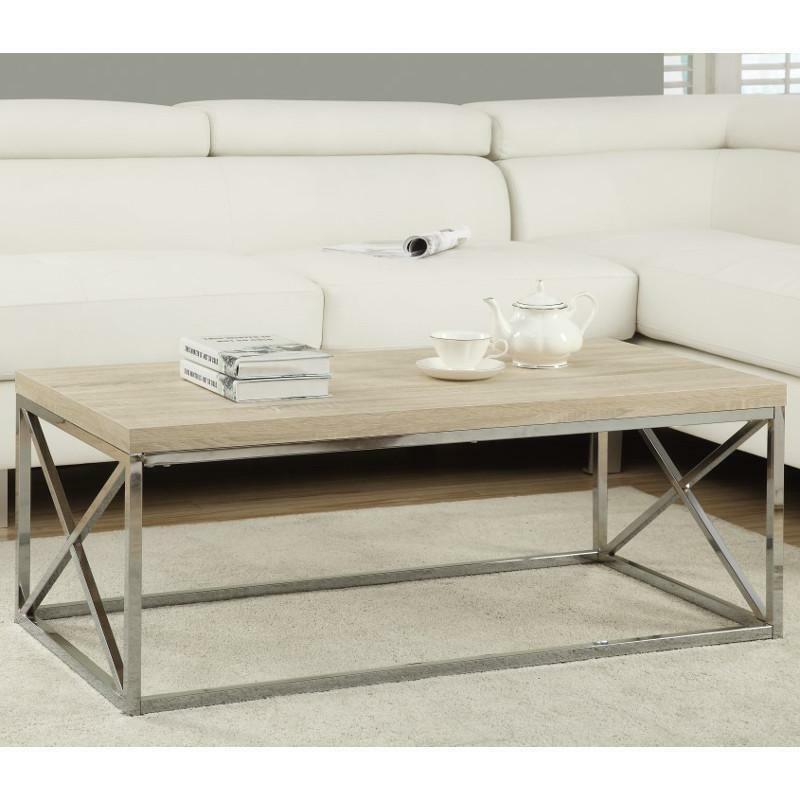 Its original rectangular shape and chromed metal base provides sturdy support as well as a contemporary look. Use this multi-functional table to compliment your living room.